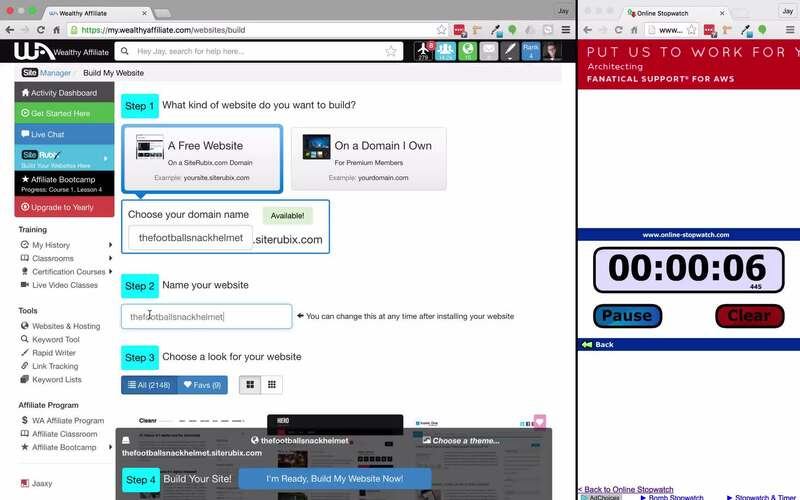 Can a Website be Built in Under 30 Seconds? Today, I am going to see how fast SiteRubix can build a website using the SiteBuilder platform. Inside this quick video, I build a Wordpress website using a free SiteRubix domain and have a timer running that you can see while it is being built. It really is easy. Thank you Jay. Can I share this to my potential prospect? That shows how well the WA system works!! At this rate we can have several niche websites up in a few minutes. Maintaining them will be another story. thanks for this presentation Jay. Thanks! Can you help me get first page ranking that fast? This is the exact reason I did this video as it is in my email series. Hi, that was quick. Irv. Great! Have you added it to youtube Jay, so it can be embedded? Lol. Yeah, that is pretty amazing. I guess we'll be seeing that as a headline soon? Well done! Let the work begin!